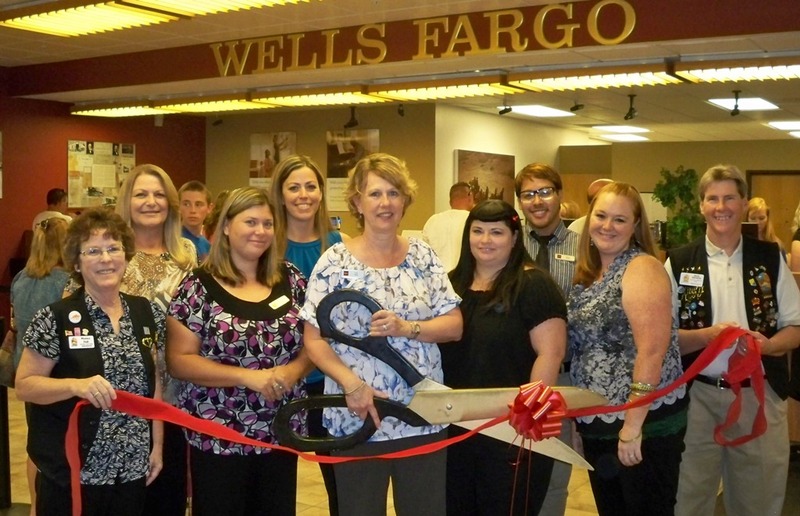 The Lake Havasu Area Chamber Ambassadors conducted a ribbon cutting for Wells Fargo Bank, celebrating its 30 year membership anniversary. Attending the ribbon cutting from left to right are Monica Hall, Carolyn Michael, Teri Jameson, Amanda Hall, Lori Stahl, Erica Bandy, Henry Vargas, Jamie Woodard, and Rick Broker. 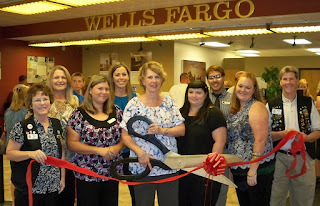 Wells Fargo is located at 1601 McCulloch Blvd. For more information contact them at 928-453-1888.